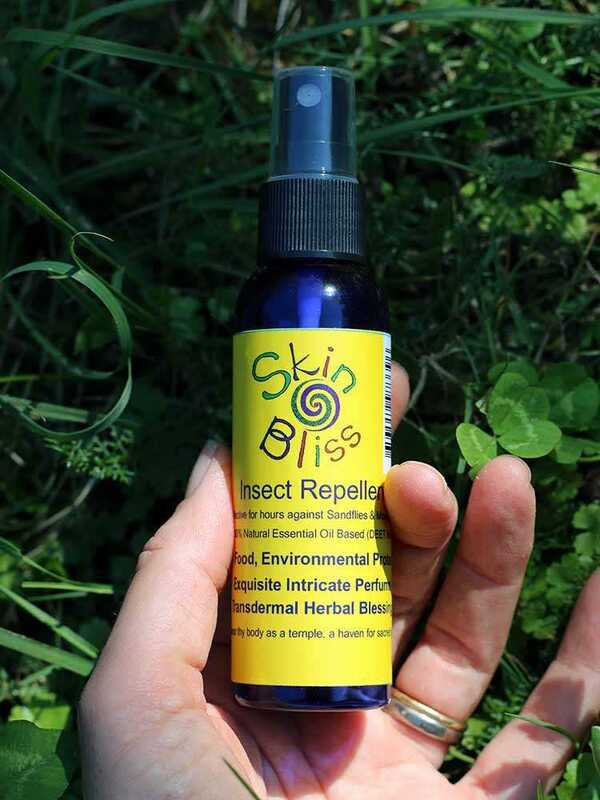 Imagine an insect repellent which feels great on the skin, smells divine, is 100% natural and super effective at keeping sand-flies and mosquitoes away. 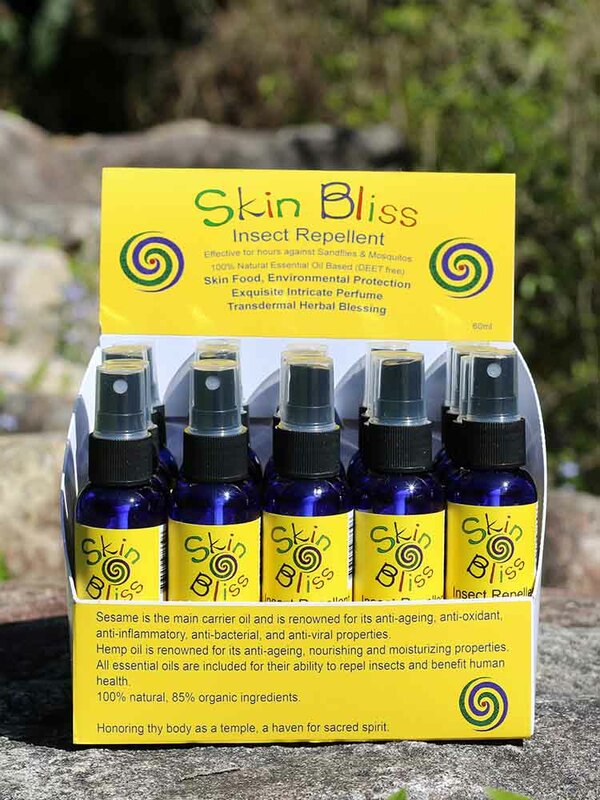 With the smell of an exquisite perfume, the luxury of a healthy skin food, immediate and long-lasting protection from biting insects, at an affordable price-Skin Bliss establishes a higher standard of excellence as an insect repellent. 17 beneficial herbal essential oils to repel insects and enhance healing, zero chemical additives. Skin Bliss stands by its ethical production standards, and we do not test on animals. 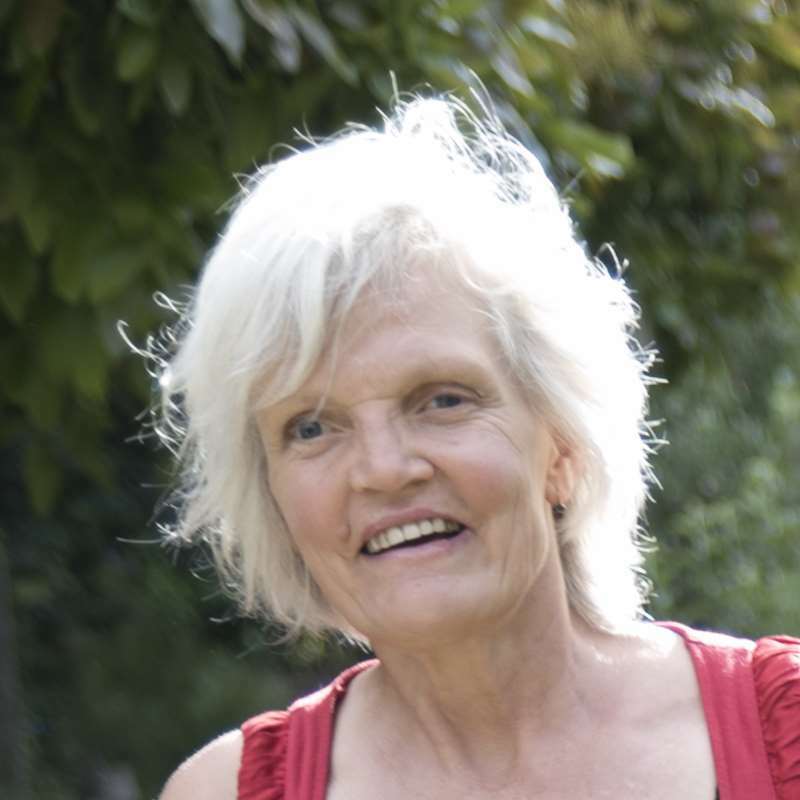 Realising that freedom from the nuisance of biting insects is essential for maximizing enjoyment of the great outdoors, I have created the ideal solution to enhance your enjoyment of nature. Enjoy the Bliss. Includes 20 x 60ml bottles with attractive complimentary display box,1 free 60ml "tester" bottle and free postage within NZ. The dark blue bottle colour prevents oxidation and degradation of oils, exposed to sunlight, thus prolonging the product's shelf life. It worked perfectly and as a bonus, it smells fantastic. It leaves my skin feeling vitalized, unlike other insect repellents I have tried. © 2017 - 2019 Skin Bliss. All Rights Reserved.